If you already own the KettlePot or Grill, you’re good to go, the CampStove 2 still fits. And if you don’t own them – now’s your chance! This is not my first go around with the BioLite stove. 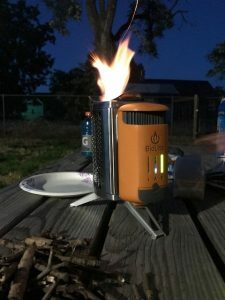 I previously reviewed the original version of this great stove here http://ireviewgear.com/cool-gear/bio-light-camp-stove-review/ . Without spoiling this review for you I have to say that my feelings about this stove have only grown more favorably. 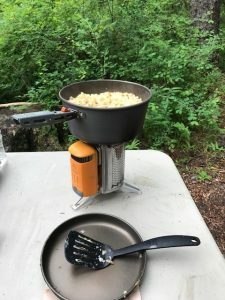 My original stove became a very big staple in my camping arsenal and has been used and loved very well. I was absolutely stoked to have the opportunity to test out the new improved version of what I already thought was a great product. 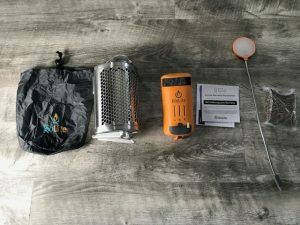 When I first unwrapped the BioLite CampStove 2 it took a second to see what was new. It look so similar to the other stove in shape, color, size, and weight. The only really huge change that popped out at me was the addition of the 3 LED display lights that show power, fan speed, and flame. I had not used it but I like the idea instantly. The other addition was the LED light which plugs into the charging port. This was a really nice addition and I was eager to get out and test. When I put the stove together I was impressed by how simple it was to assemble and how neat it looked with the new light addition. It was time to get this thing out and test it with the best critics I know, my children. I promised them a night of S’mores and this little stove had better preform. 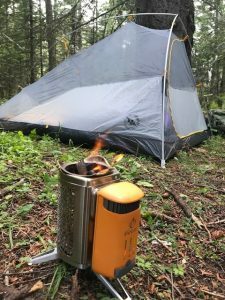 My past experience with the original BioLite CampStove made starting the fire a breeze. I was instantly impressed with the multi-level fan speed as it allows you to baby the fire and increase speed as the fire grows. The old stove has only two settings so this was a great change. 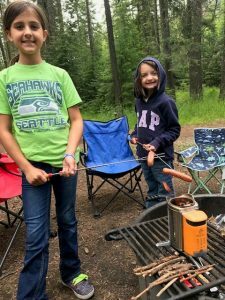 It was not long after the fire was rolling that my daughters were skewering marshmallows and readying their sweet tooth for the deliciousness that are S’mores. The light attachment came in handy for the girls as they tore into essential ingredients and prepared for the feast. As a father there is nothing better than to see your children smile. 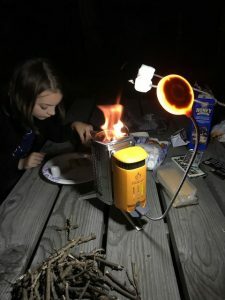 I sat and watched as my oldest daughter fed small sticks into the BioLite CampStove 2 and made herself several treats. It was a great night of testing a product that is as fun to use as it is functional. 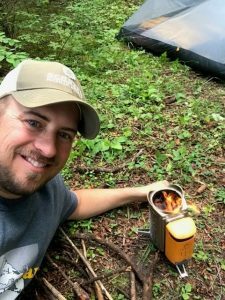 I was ready to get out into the woods with this great little stove. Luckily we had a family camping trip planned for the weekend and I already knew how the meals would be prepared. Hotdogs were the girl’s choice and so the BioLite was brought to life once more and soon the wonderful smells of charred hotdogs filled the air. The nighttime meal was great and we all went to bed happy. Sunlight hit my tent and I rolled out of my bag to start the new day. They say breakfast is the most important meal of the day and not to make “them” into liars I was ready to cook a feast. Breakfast burritos were on the menu and that included cooking some sausage, eggs, and O’Brian potatoes. 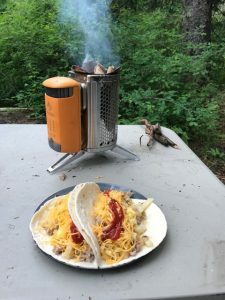 The BioLite stove was again brought to life and the feast was prepared. The trip was a success and the food was excellent. 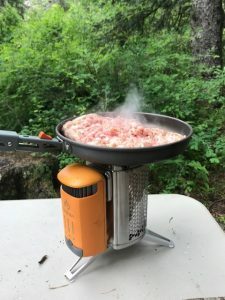 I was very impressed with the BioLite CampStove 2 as it is a great tool for cooking. The 4 stage fan speed allows for excellent temperature regulation with open flame cooking. This is very important when cooking things like eggs. As you saw above the stove allowed me to cook perfect fluffy scrambled eggs and ultimately a very good feast for my family. 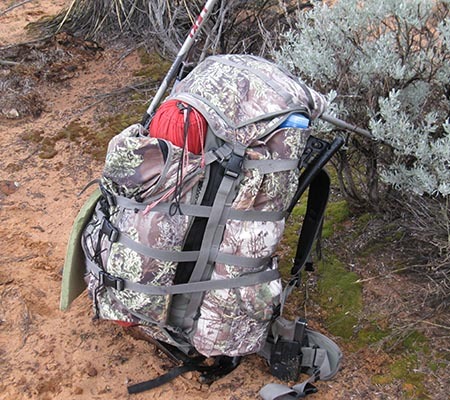 The last test for me was on an overnight backpacking fishing trip. I was ready to get this stove into a pack and get it up in the hills. The cooking aspect of it is nice but it’s hard to forget just how nice it is to have a simple fire when in the woods. In todays no trace world it’s nice to be able to bring a small portable fire pit with you eliminating the need for a messy fire pit. 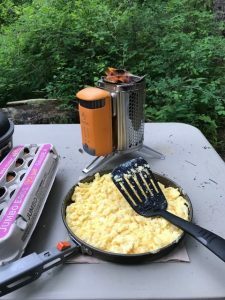 That trip went off without a hitch and I enjoyed the same success that is seemingly the norm for this great stove. I am a huge fan of the BioLite products that I have tested. I often find myself engaged in conversation with others as they are intrigued by this innovative and attractive little stove. I don’t mind singing its praises around the campgrounds of this great country. There is one other feature that I did not photo document here but would be foolish not to mention. In a world where cellphones are our computers, cameras, calculators, and so much more, it is essential that we have power. 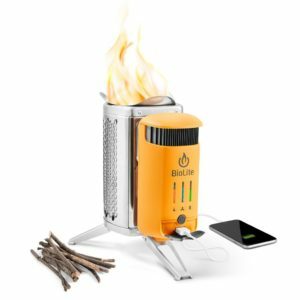 Well, the BioLite CampStove 2 will CHARGE YOUR PHONE! Yup, that is an accurate statement. It does not matter if you choose to use the stove to charge a power bank or to directly charge your phone you are going to have the ability to make fire into power. With this power you can be sure to always have your device charged. This is a very cool feature indeed! 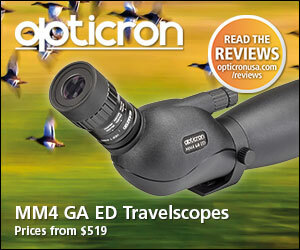 Overall I am very happy with this product and believe it to be worth every bit of the $130 you will spend on it. This stove will make your camp a bit more fun, and who can’t use more fun? The 1 year warrantee will cover you from any manufacture defects making sure you have a great buffer to insure your model is tip top. 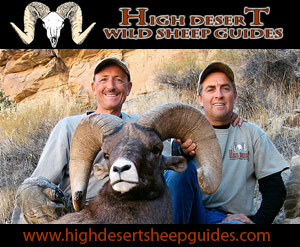 I highly recommend this stove and believe it to be a great addition to any outdoorsman’s kit. One issue that I had with the original stove that was not fixed with the updated version is the plastic top of the generator. It is plastic and thus susceptible to being melted and burnt if ash or stick fall on it. It’s just a cosmetic issue but one I would like to see addressed. 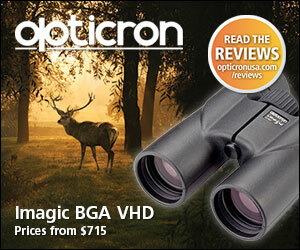 Overall this product functions as advertised and it a great little piece of gear. I would recommend it to any who ask. 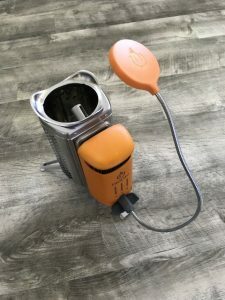 I give the BioLite CampStove 2 a very comfortable 5 star rating as I think it is simply great!